Handcrafted male doll from Barbados. 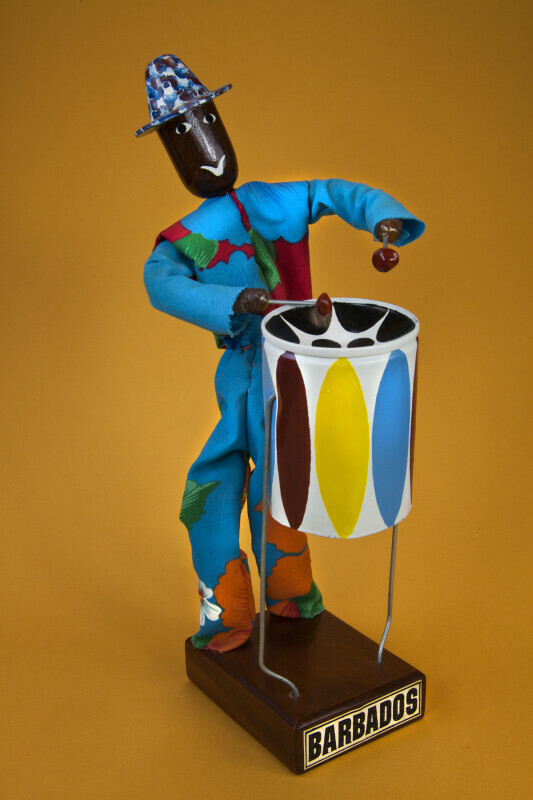 He is standing behind a steel drum and holding two drum sticks. The steel drum was first used as a musical instrument in Trinidad. The top of the drum is tuned to play the notes, and is called the pan. It is made from 55 gallon drums that formerly contained oil, etc. This figure stands 10 inches (25 cm) tall.